Disney’s annual twin to their International Flower & Garden Festival is here. 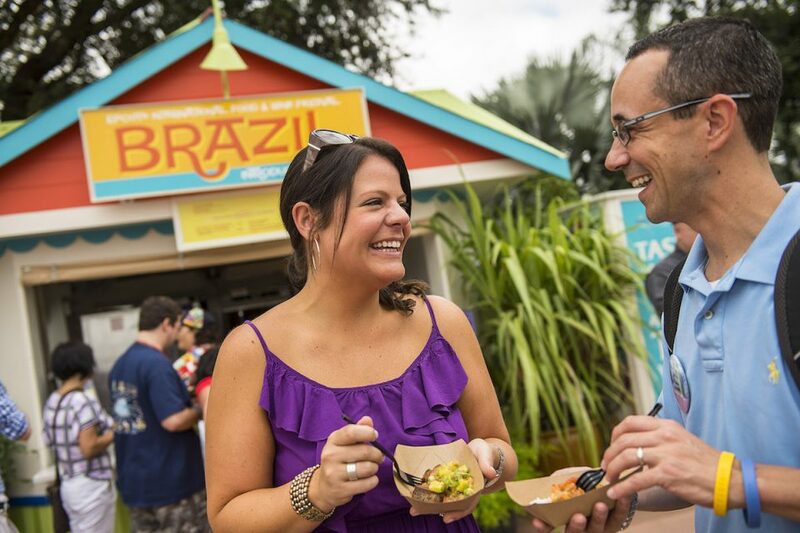 The Epcot International Food & Wine Festival returns with longstanding favorite events, as well as several new changes that should excite those who attend each year. F&W generally runs from September through mid-November. The annual celebration of appetizers and drinks has returned, and as usual, it does consist of visiting two distinct areas to enjoy the entire experience. 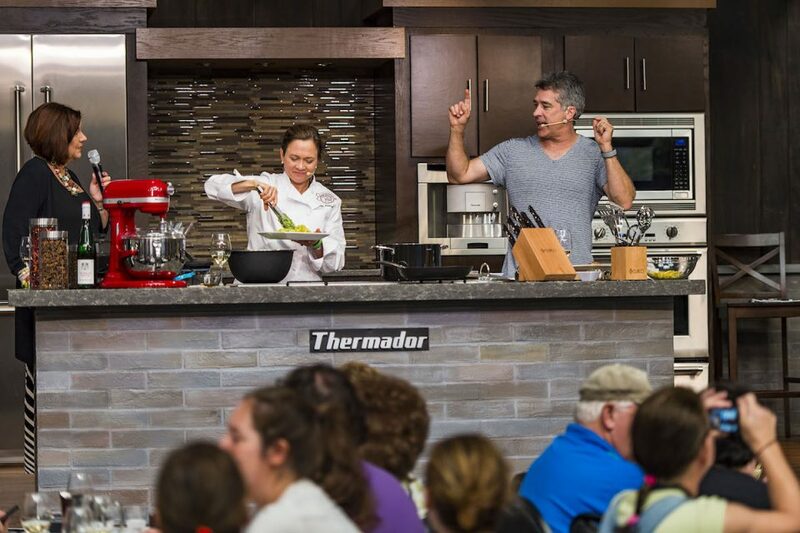 The Festival Center is where you’ll find cooking seminars and demonstrations. 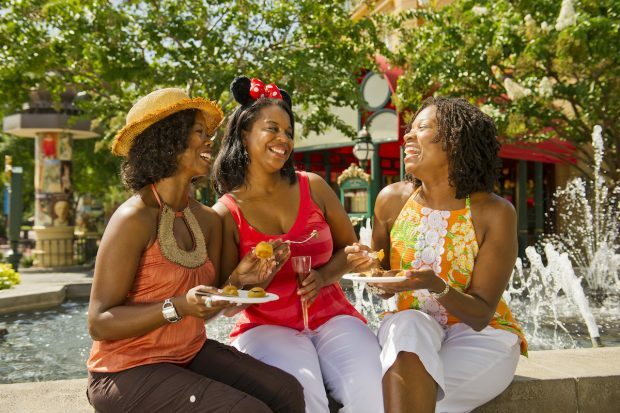 This year, visitors can look forward to an impressive roster of culinary experts, as well as those who are chefs for Disney. Some of these chefs include Alex Guarnaschell, Cat Cora, Graham Elliot, and other world-renowned chefs and cooking personalities. In addition to chefs who are employed around the parks, visitors can also look forward to seeing the cast of the Chew as they make their annual appearance. Lucky park-goers get to attend a taping of the show, which occurs October 4-6 from 9 am to noon. However, like any live show, you’ll need to request an audience ticket from the Chew directly in advance. Disney is never one to shy away from tradition, and classic festival favorites are returning. 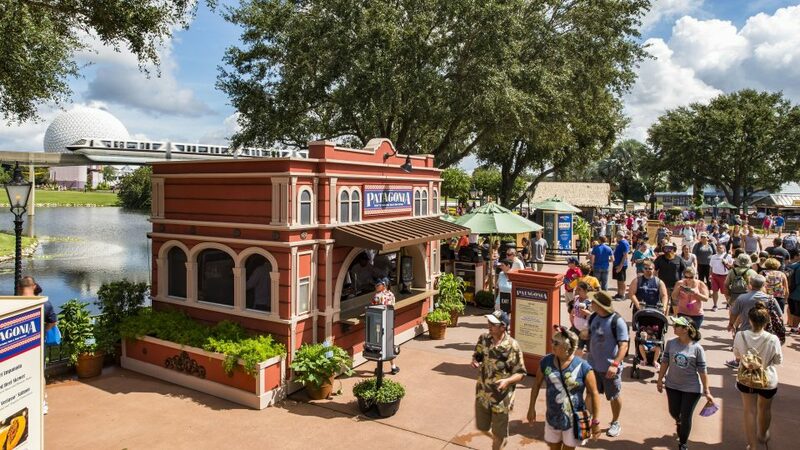 As you walk around World Showcase, you can find over 35 kiosks offering small plates of international food, wine, and other beverages. Besides returning kiosks, there are new additions this year which include “Active Eats,” the Almond Orchard Hosted by Blue Diamond Almond Breeze, Coastal Eats, and more. Your favorite food kiosks are still there, including Africa, Canada, France, Mexico, and a litany of others. If you’ve ever wanted to eat your way around the world, this is the next best thing. Disney is continuing its shift away from its Baby Boomer-focused musicians to include more “90s kids”-inspired acts. While you’ll still have an opportunity to catch STARSHIP featuring Mickey Thomas, Air Supply, and .38 Special, Hanson, Baha Men, and Everclear will also be performing. As of now, the live entertainment roster includes 30 acts, and they are offering a nice mix of generational choices. Whether you prefer classic rock or want to see YouTube fan favorite Postmodern Jukebox, it seems as if they are truly trying to offer something for everyone this year. The series is already going on, with three performances occurring daily. Evening show times occur at the outdoor music theater in the American pavilion at 5:30 pm, 6:45 pm, and 8:30 pm. You’ll probably wind up standing the entire time if you don’t show up early to grab a seat. 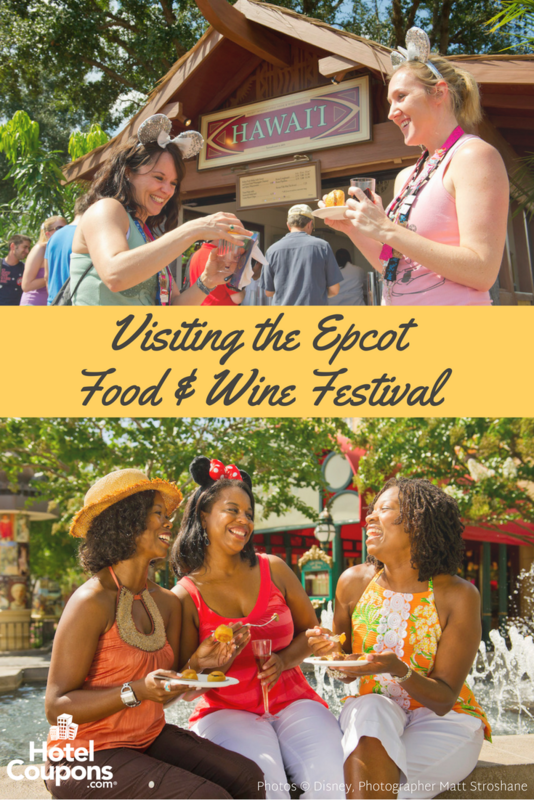 To attend Food & Wine, you just need standard Epcot admission. You’ll purchase food and drinks separately, but the music and demonstrations are included. As of right now, a single day adult ticket will run you $99 pre-tax. There are Florida Resident discounts, with proof of residency. Read our Guide to Disney World Annual Passes. Park admission does not cover the Party for the Senses, Frozen Ever After Sparkling Dessert Party, or other special events. These require additional ticket purchases. The Epcot ticket will get you into the gates, give you access to the rides around the park, and also include getting you to the shows around the World Showcase and Festival Center. From experience, you are probably not going to have time to see and do everything the festival has planned. And honestly, that’s okay; the different kiosks and entertainment choices aren’t exactly one-size-fits-all, but I can guarantee that you’ll find something you like. Don’t try and squeeze an entire day of park rides and trying to hit up all of the festival activities in the same day. If you can, good on you; however, Epcot is one of Disney’s largest and most spread out parks. If you aren’t familiar with the layout, it’s easy to get turned around. Essentially, the majority of the “theme park” sections are within the first half, while most of the festivities will be in the back half of the park. Bring comfortable walking shoes. I can’t stress enough just how big the park is. The World Showcase alone is approximately 1.2 miles long, with the park as a whole being around twice as large as the Magic Kingdom park. Read our Guide to Theme Park Essentials. The World Showcase typically doesn’t open until 11 am, and usually, not everything is opened at the same time. Most country pavilions have their own entertainment offerings throughout the day. Find a daily showtimes schedule with the park maps. Whatever you have planned, try and give yourself an additional half an hour. Rides break down all the time, and it’s always a good idea to give yourself an extra cushion for if and when you wind up getting lost. If nothing else, the entire park is more or less two big circles, so you will eventually find your way. Epcot is a kid-friendly park, but it also isn’t. For every kiddie ride and character meet and greet is a long walk in the direct sunlight. Be sure to take frequent water, bathroom, and A/C breaks; you’ll thank yourself later. Finally, you absolutely want to bring your valid driver’s license. 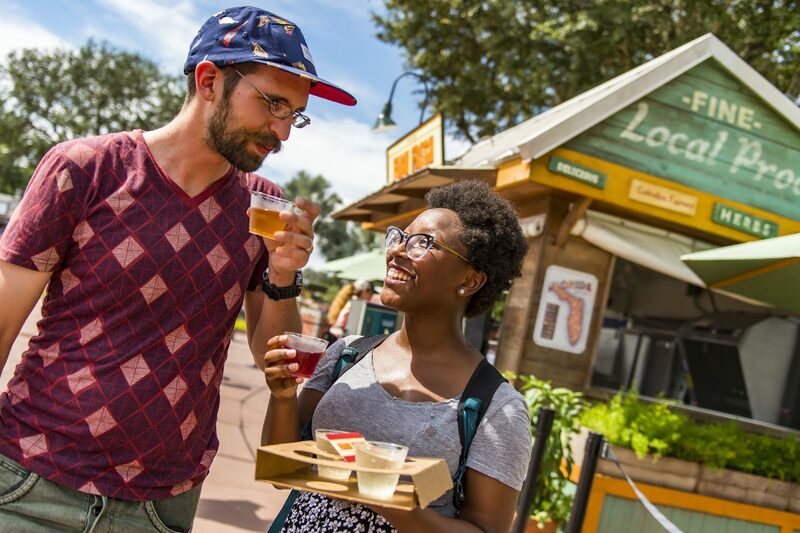 For obvious reasons, they are very strict about checking IDs for alcohol purchases, and if your main reason is the Food & Wine Festival, you’re going to want to make a few adult purchases along the way. Are you a Food & Wine Fanatic? Share your favorite parts of the fest in the comments!